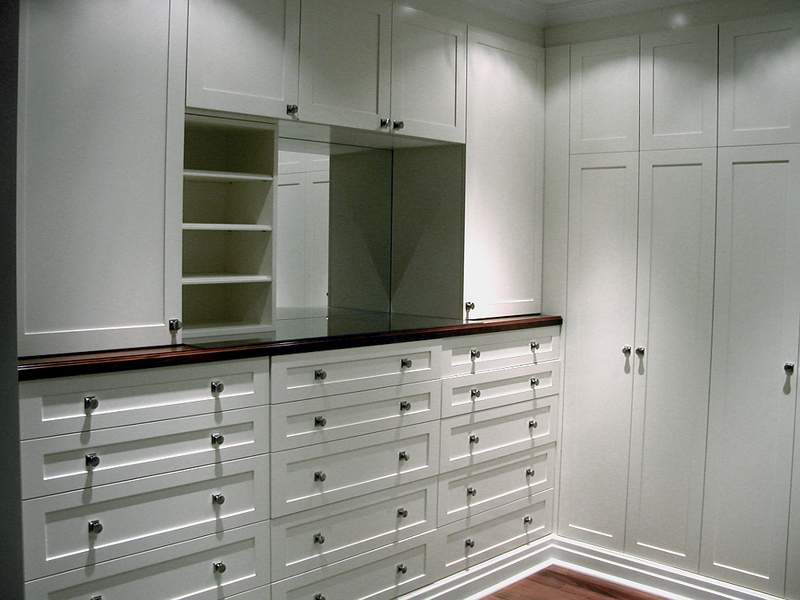 White custom walk-in closet with wardrobe and shaker fronts. Chocolate Pear Double Closet with clothes hanging and shelf tower. 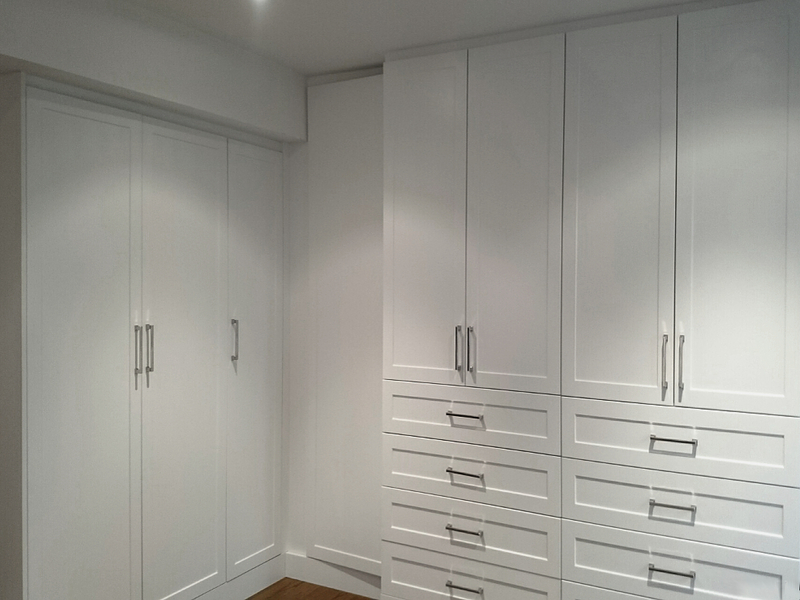 White Walk In Closet with Shaker drawer fronts. Triple reach-in closet in Spring Blossom melamine. 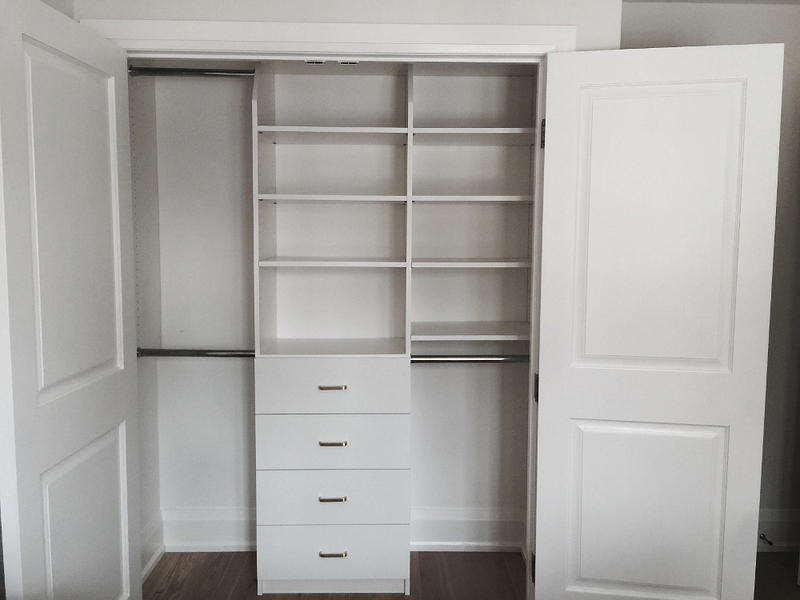 Simple white reach-in closet with shaker drawers and lock. 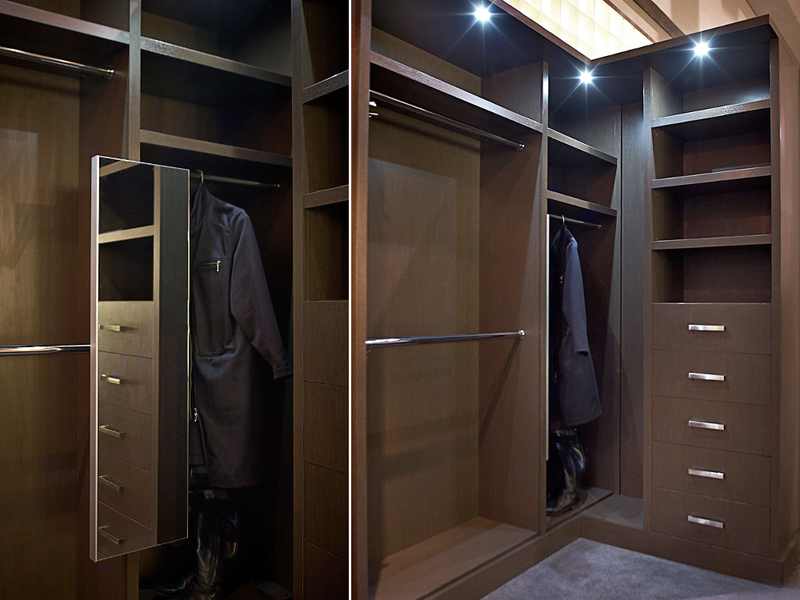 Contemporary Dream Closet in Portobello with LED lights and pull-out mirror. 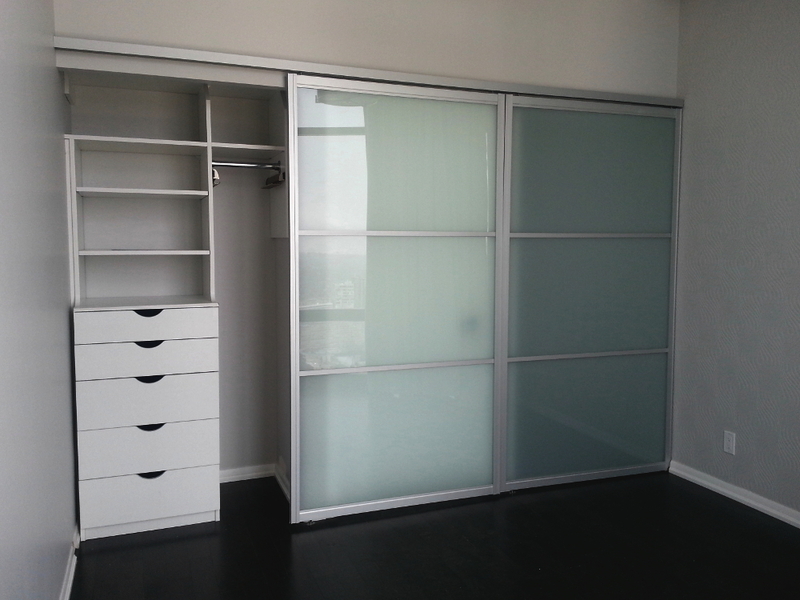 Modern Condo Closet in Monaco with aluminum-framed glass door. 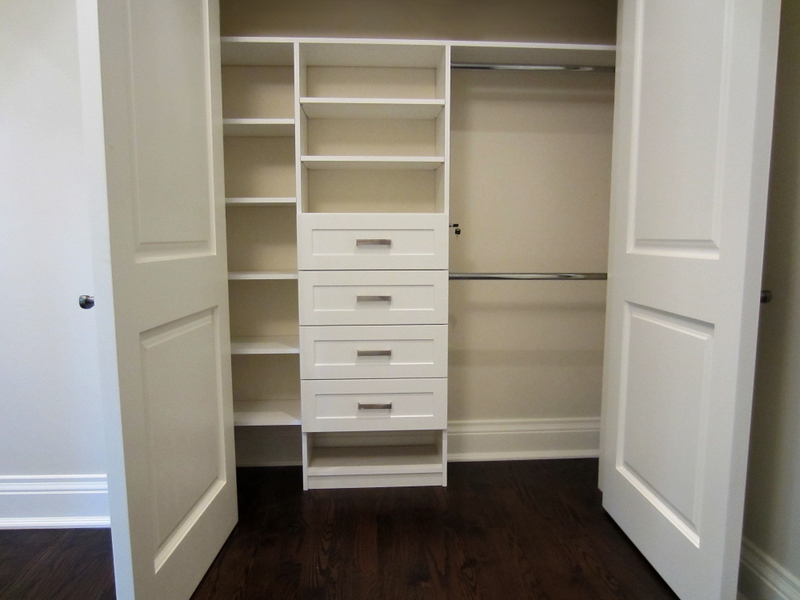 Custom Walk-In closet in Winter Fun melamine with shoe pullouts. 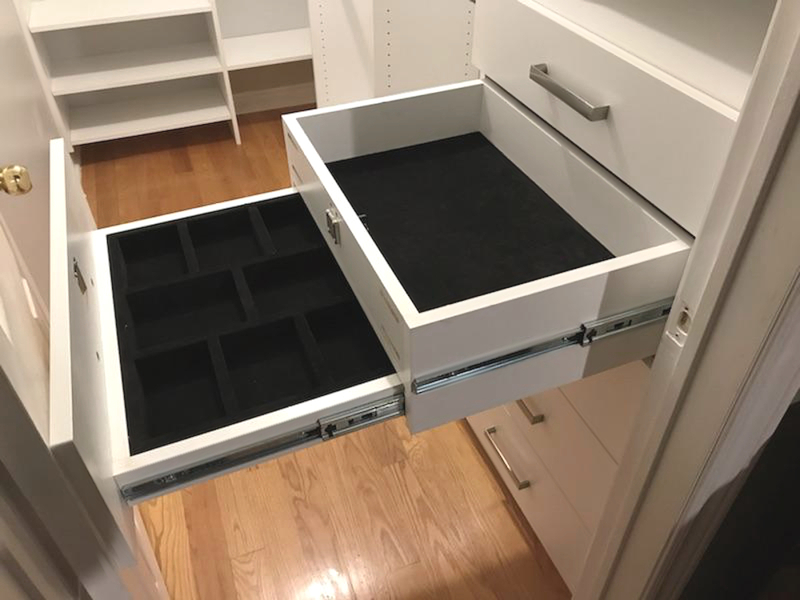 Custom hidden jewelry drawers are lockable and secure. 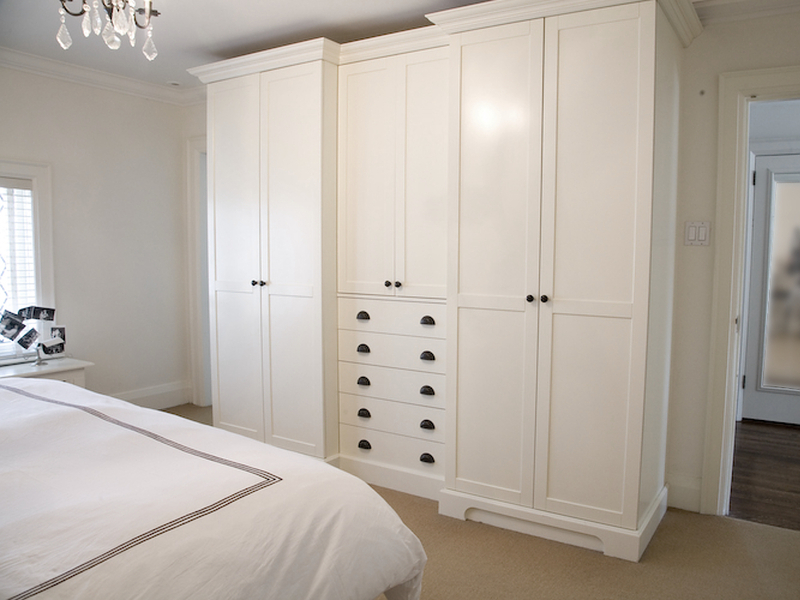 White walkin wardrobe with Shaker fronts. 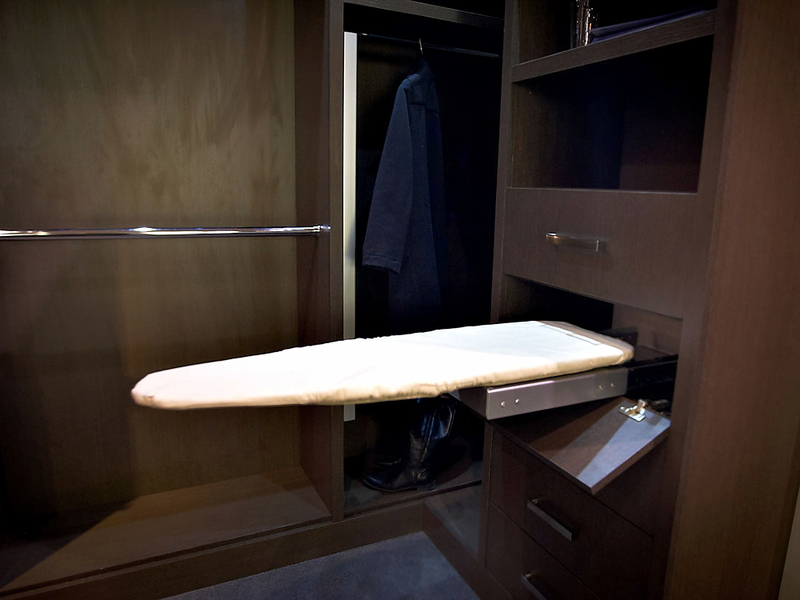 Fold-out ironing board tucks away behind false front in any drawer tower. 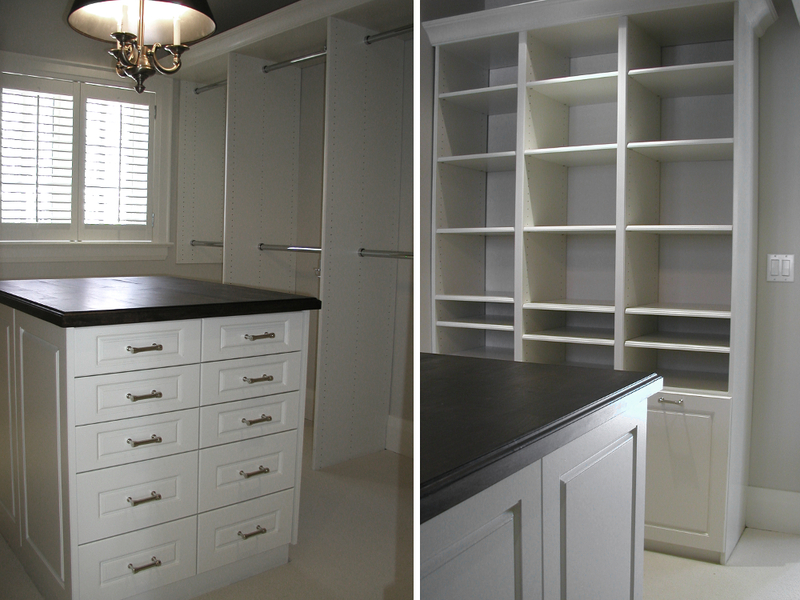 Custom factory-painted wardrobe with shelf and drawer storage. Custom storage cabinets in bedroom nook. 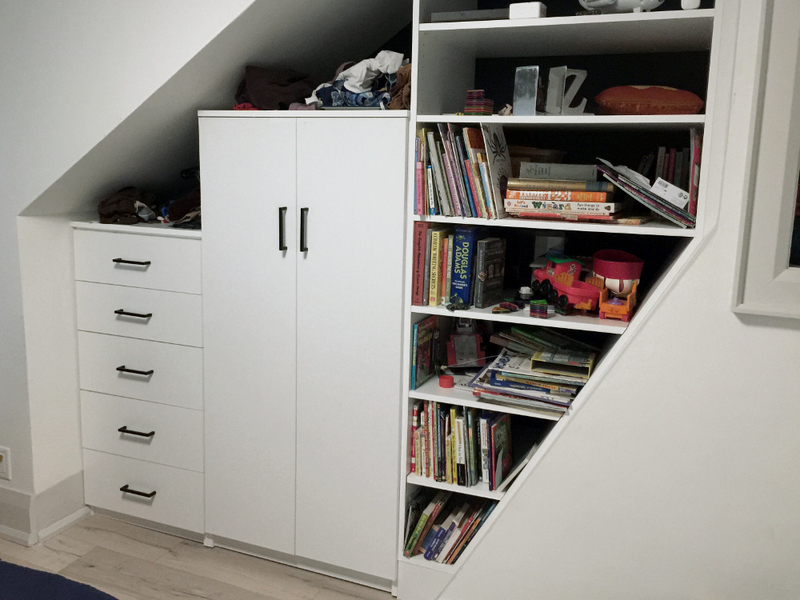 Space Solutions has been making small Toronto closets BIG since 1986. 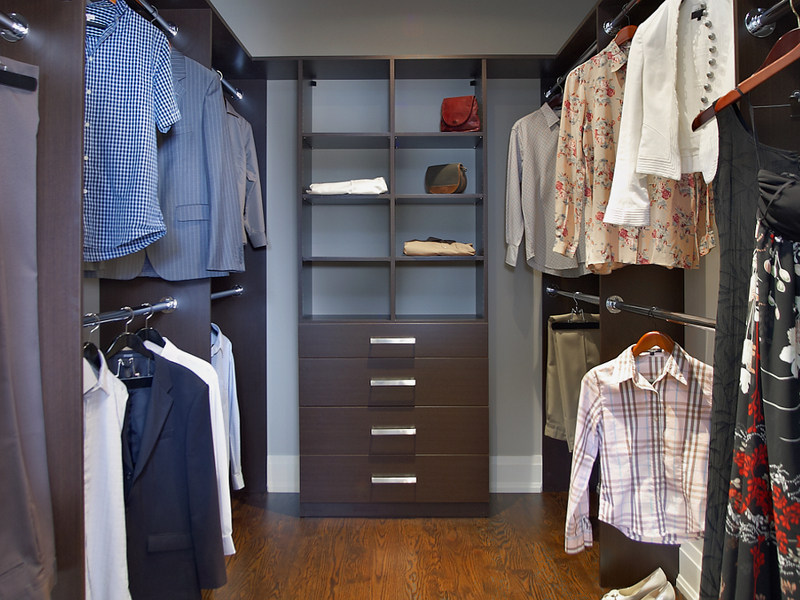 What makes your custom closet? You may have 40 pairs of shoes, you may have gowns or long coats. You may prefer to fold your pants in drawers or hang them from the cuff. 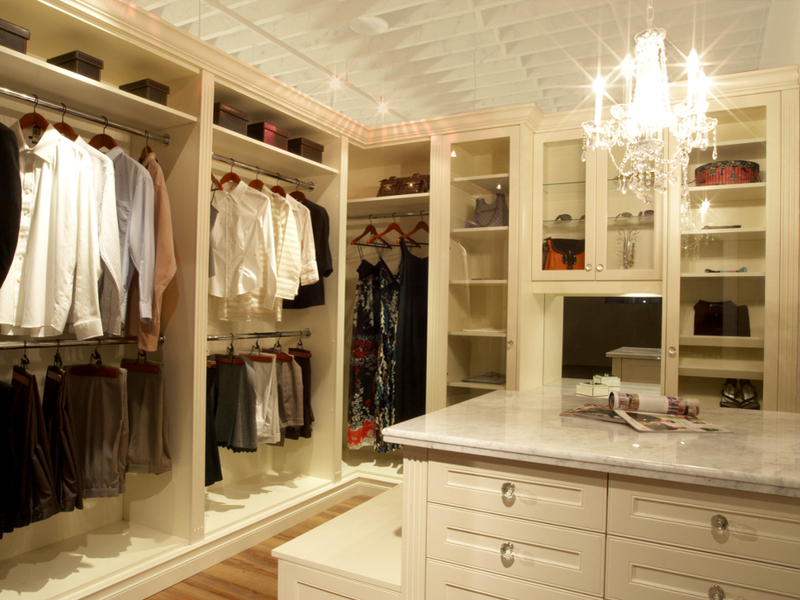 Every closet space is as unique as the home and the homeowner, and our custom closets recognize that. You may need to outfit your Master bedroom closet, a child’s closet or your Front Hall closet: custom closet organizers may also go in your Laundry Room, Linen closet, a kitchen Pantry – any place where you need to maximize your closet storage. 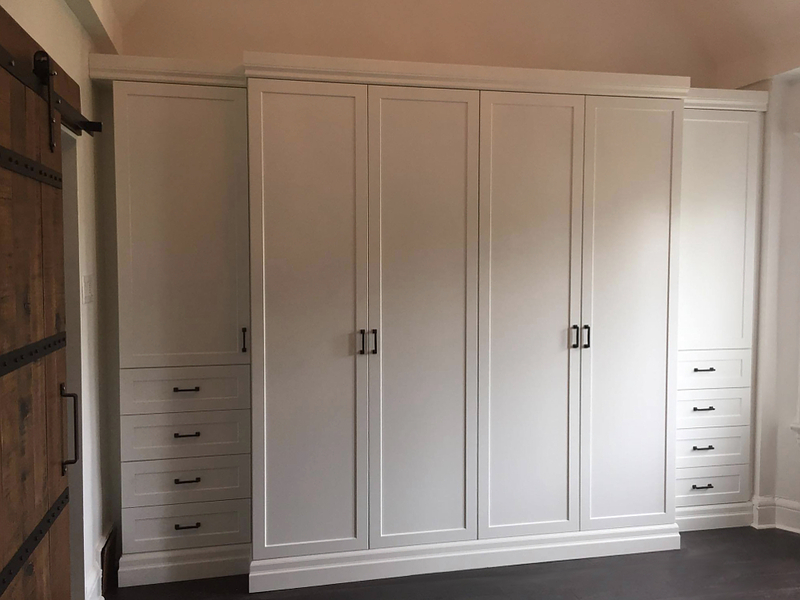 Whether you have a Reach In closet or a large Walk In closet, our team of experienced designers will design custom closets for you that organize efficiently and beautifully. 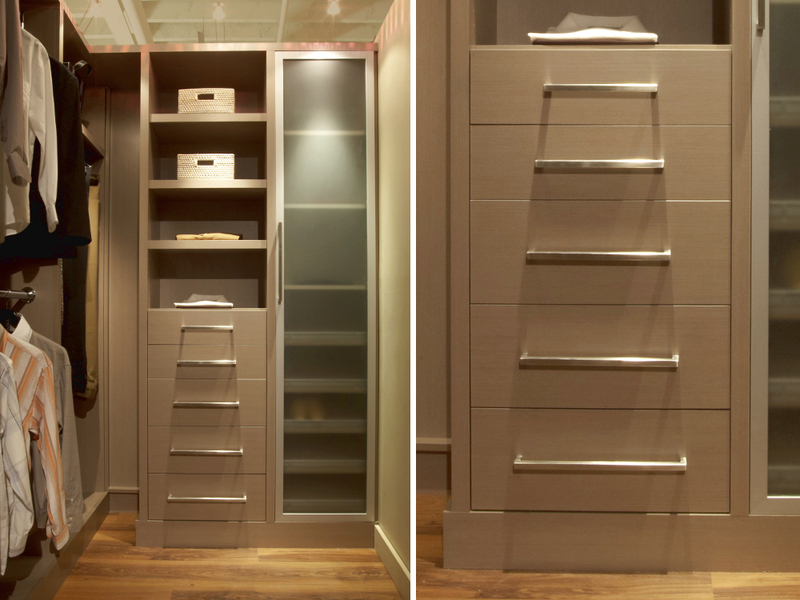 Being able to find what you want, when you want it is a large part of an effective custom closet design. 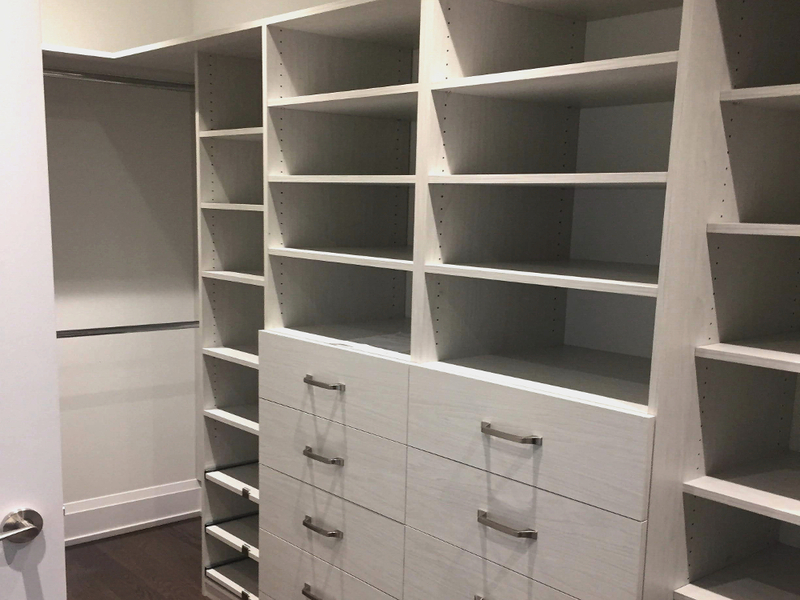 From a full Dream Closet, to a simple melamine solution, or custom cabinets in your dressing room or bedroom, there is a custom closet organizer that is right for you. Our wide range of style and colour options will make your space as beautiful as it is functional. 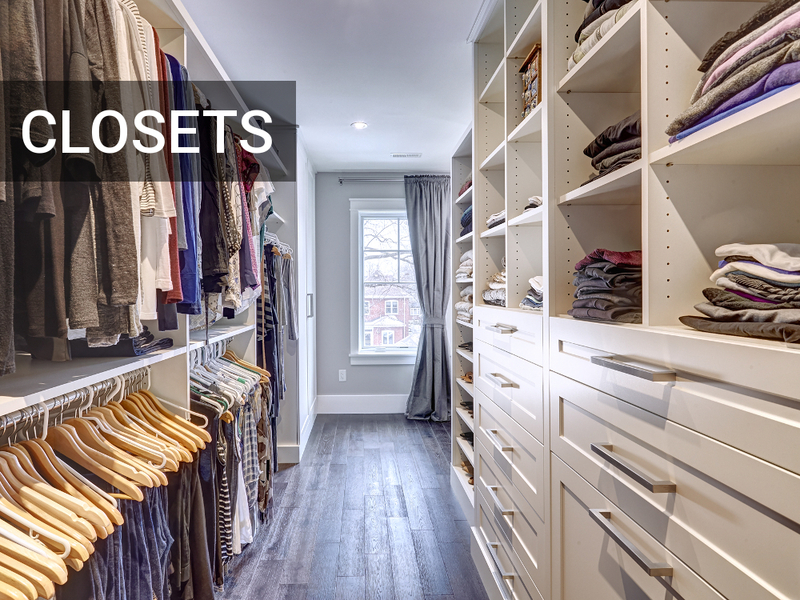 Complete your custom closet installation with selections from our wide array of closet accessories — tie racks, belt racks, laundry hampers, jewellery organizers, mirrors and more; ask us and we will find it for you! 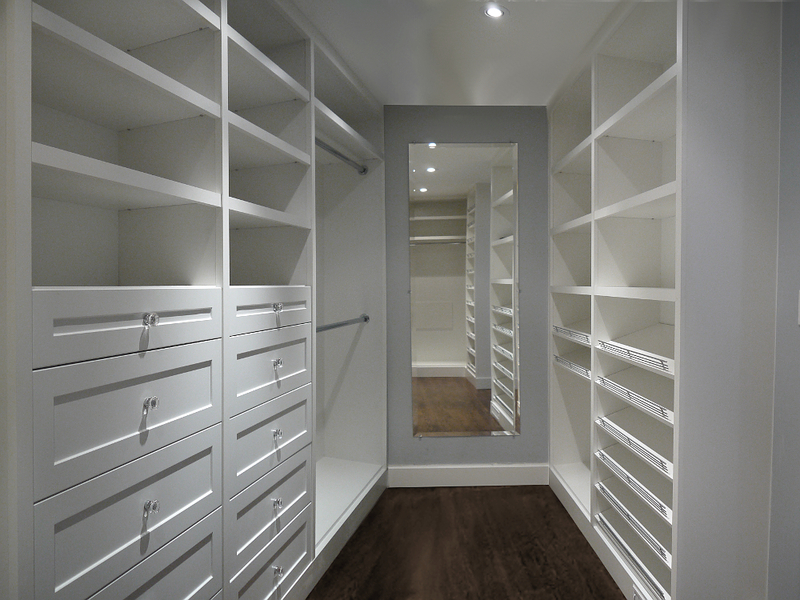 We also install custom sliding glass, mirror and panel doors, and can create a closet where none exists. 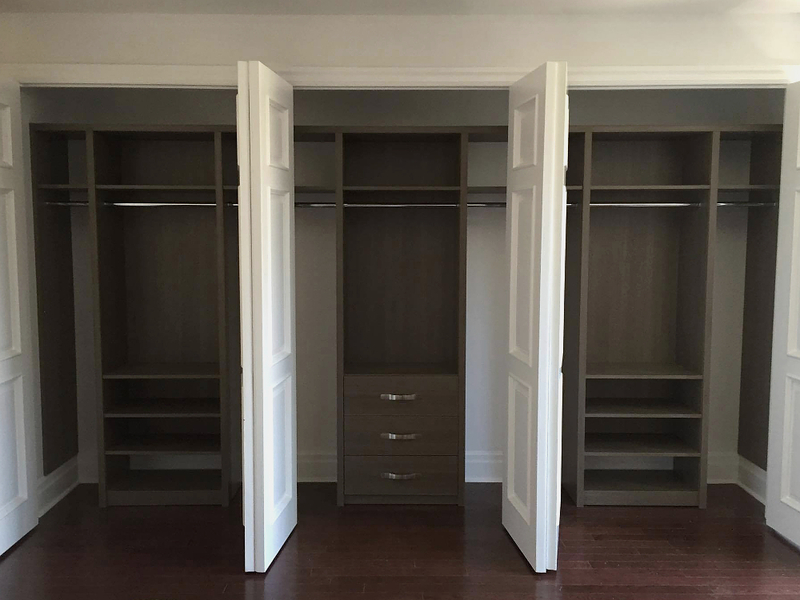 Contact us for an in-home consultation to get started on designing your perfect closet organizer today – we’ve been offering the best custom closet solutions in Toronto for over 30 years.